Oahu has become the last County in Hawaii to implement ban on plastic carryout bags. The ban has come into effect on July 1st. SAO PAULO (Scrap Monster): With Oahu county banning use of plastic shopping bags, Hawaii Islands has become the first US state to enact ban on plastic bags. As per ban which has come into effect on July 1st, retailers are being prohibited from providing carryout bags made from non-compostable materials. Businesses are also required to submit annual compliance forms to authorities. The ban does not apply to bags used for medical or sanitary purposes and bags used for fruits, vegetables, nuts, meat, fish, flowers or potted plants. In addition, restaurants are also exempted from the ban for take-away food. Also, newspaper bags used for home deliveries are also exempted from the ban. Oahu is the last County in Hawaii to implement the ban. Maui County had imposed ban on plastic bags in 2011. Kauai County too had implemented the ban during the same year, followed by Hawaii County in 2013. According to County officials, the ban has worked smoothly so far. A few violators of the ban were warned. However, no retailers have been fined so far, as they have strictly enforced the rules of the ban. Oahu County authorities stated that retailers are still permitted to distribute recyclable paper bags, compostable plastic bags and reusable bags, including those made of thicker plastic. Violators will be fined $100 per day. Repeat offenders could get a higher fine of up to $1000 per day. 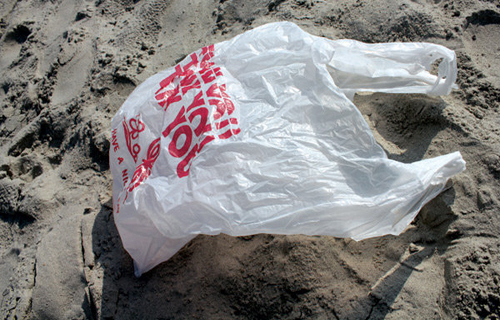 The authorities further stated that the bag ban decision will help protect Hawaii’s rich environmental resources.